Thank you for your interest in the Master's program in Economics at the University of North Texas. The Master's program in Economics at the University of North Texas is among the top-rated economics master's programs in the country. We currently offer a Master of Science in Economics, with a primary focus on quantitative skills and theories. Our faculty are both outstanding researchers who publish in the top journals in the field and also excellent teachers who have won some of the most prestigious teaching awards that exist. Our program provides two paths for students: one that is geared towards providing students with excellent analytical skills that allow them to build a rewarding career, and one that is geared towards providing students with an excellent foundation for pursuing a Ph.D. in economics. Our graduates who go on for further study at Ph.D. programs gain admission to some of the best schools in the country, frequently with full funding. Our students who go directly into the job market are in high demand and often can pick from among the most prestigious and rewarding positions that are available. We have an excellent and dedicated job placement officer who works very closely with employers in the Dallas-Fort Worth area and beyond. Our placement officer offers resources for job search techniques, resumé writing and job interviewing skills, and keeps an up-to-the-minute database on open positions. The University of North Texas also has a dedicated staff at the Career Center that offers the opportunity to engage in mock interviews in addition to other standard services. Our students have found the community of Denton an attractive place to reside. While retaining a small, university-town atmosphere, Denton is a part of the Dallas-Ft. Worth metroplex, with each city only a 30-minute drive from campus. Whatever path you choose to follow, we wish you the very best. 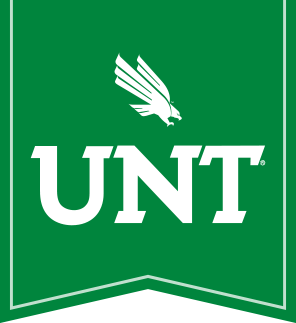 We hope your plans include us, and if you have any questions with graduate admissions, please feel free to contact us at ECON-GradAdvising@unt.edu.